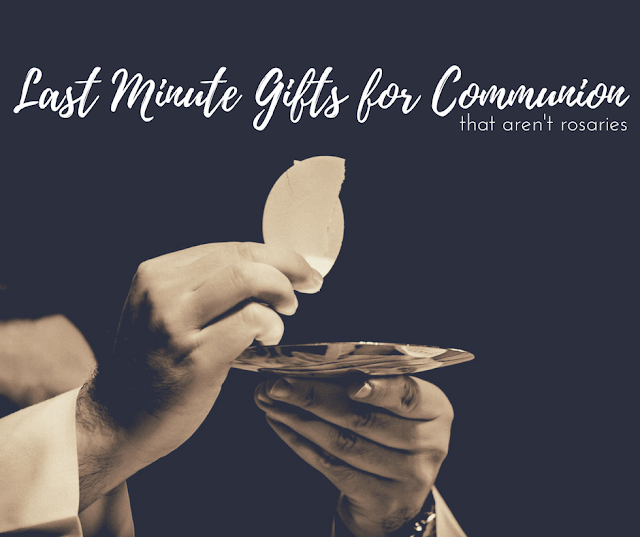 Can you believe that Thanksgiving is not that far off?!? 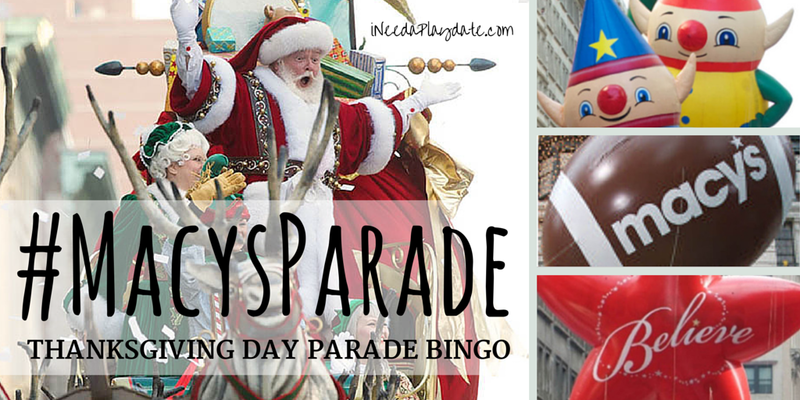 I started making parade day bingo cards for my kids a few years ago to keep them busy while watching the Macy's Thanksgiving Day parade with my mom at her nursing home. Even though my mom is gone now, I'm keeping up this tradition. Besides the regular cast of Santa, Tom the Turkey, and the larger than life balloons, here are the new performers that have been added to the cards this year. 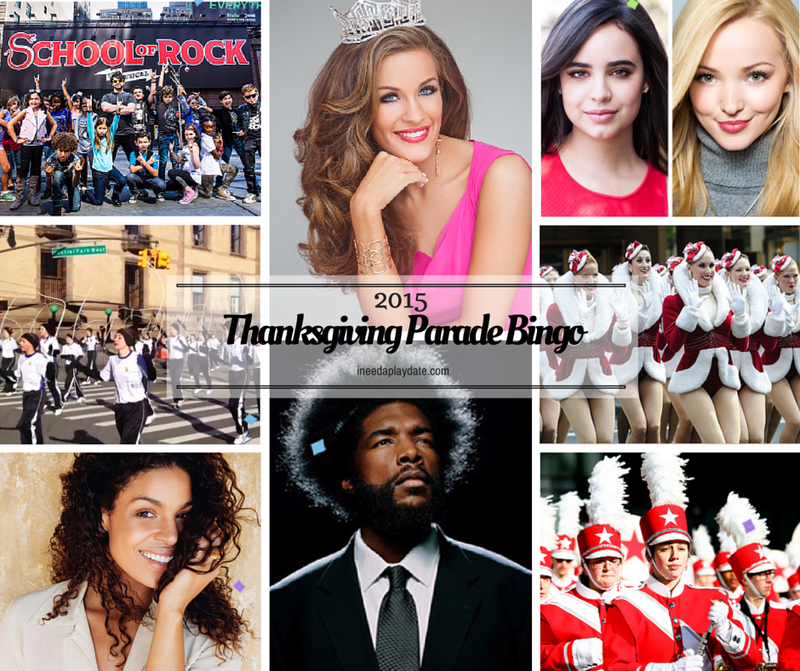 The cast of School of Rock, Miss America Betty Cantral, Sofia Carson and Dove Cameron from Disney's Descendants, JUMP, Quest Love (Sesame Street float), Rockettes, Jordan Spark (Girl-Powered Spinning Machine float), and Macy's Marching Band. The rest of the line-up, pictures, and descriptions can be found on Macy's website. We used M&M's last year to mark the spaces. RD kept eating her's so she may have won several times. This year, we are using crayons. 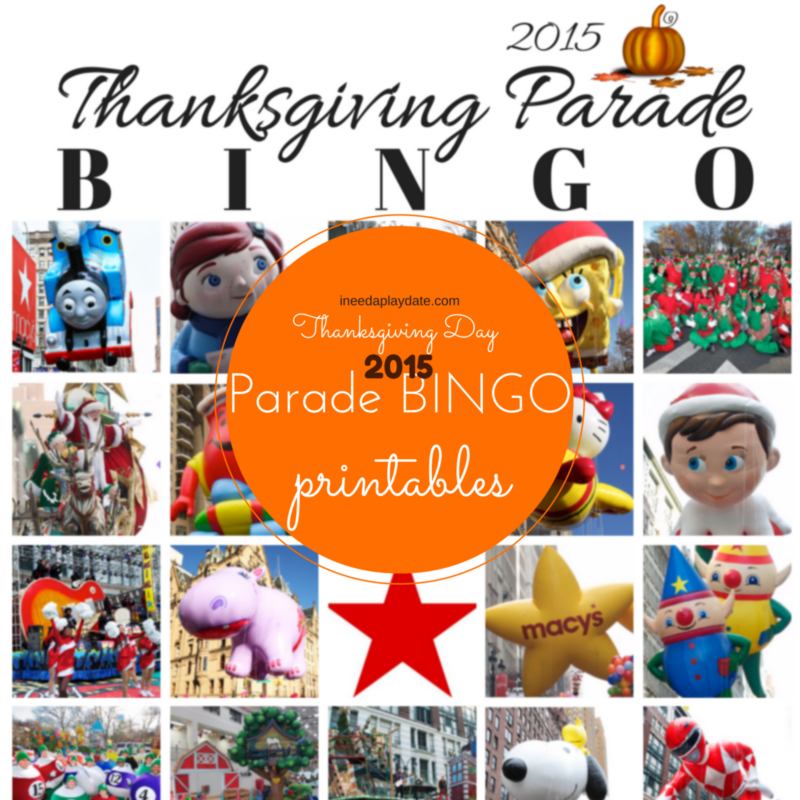 To download the free bingo printable go here and watermark free!